McDonogh’s Kieran Baskett made seven big saves to help McDonogh hold off Mount St. Joseph on the road. 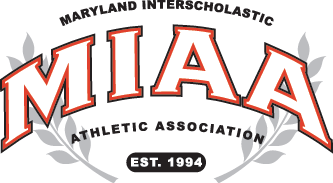 The defending MIAA A Conference McDonogh Eagles got back on track in Irvington on Friday, earning a hard fought 3-2 win over Mount Saint Joe on a sun-splashed, breezy, late October afternoon. The Eagles (8-2-1) were coming off a tough stretch, having suffered consecutive one goal losses to No. 1 Loyola and No. 9 Archbishop Curley after zooming out to a 7-0-1 start in league play. McDonogh scored first when Ian MacDonald slipped one past St. Joe keeper Ashton Carey 10 minutes into the game on a cross from Sean Nolan. The Gaels (6-8-1), coming off a big 2-0 win at No. 10 Calvert Hall, tied it, 1-1, with 13 minutes to go in the first half when Brett Callahan tallied on a feed from Casey McCanna. The Eagles came out on fire to start the second half, getting two quick scores in the first three minutes. Andrew Privett put his team up 2-1 at the 39:28 mark, and Richie Nichols made it 3-1 one minute later. Privett credited his goal to sophomore Kyle Brown. Nichols gave the Eagles some breathing room when he drilled home McDonogh’s third goal with a thrust from the 18, witht 38:26 left. In its typical, feisty fashion, the Mount did not quit. The Gaels got within one goal, with 16:44 to go in regulation, when Luke Isayiw found the net on a feed from Alex Crabbs. The Eagle defense, led by senior keeper Kieran Baskett, made the one goal lead stand up. The Eagles will take on undefeated Loyola at Blakefield on Monday, while the Gaels will try to rebound at Archbishop Spalding on Tuesday. Pictured above: (From left) Ian MacDonald, Andrew Privett and Richie Nichols (all scored for McDonogh. GOALS: MCD-Anderson, Privett, Nichols: MSJ-Callahan. Isayiw. ASSISTS: MCD-Nolan, Brown, Christian; MSJ-McCanna, Crabbs. SAVES: MCD-Baskett 7; MSJ-Carey 5.